I've had my own battles with hair loss in the past. I installed my sisterlocks immediately after having my first kid and before the onset of postpartum hair loss. The professional caring for my hair at the time did not advise me through this very difficult season and it took me a long time to figure out what was happening and why. 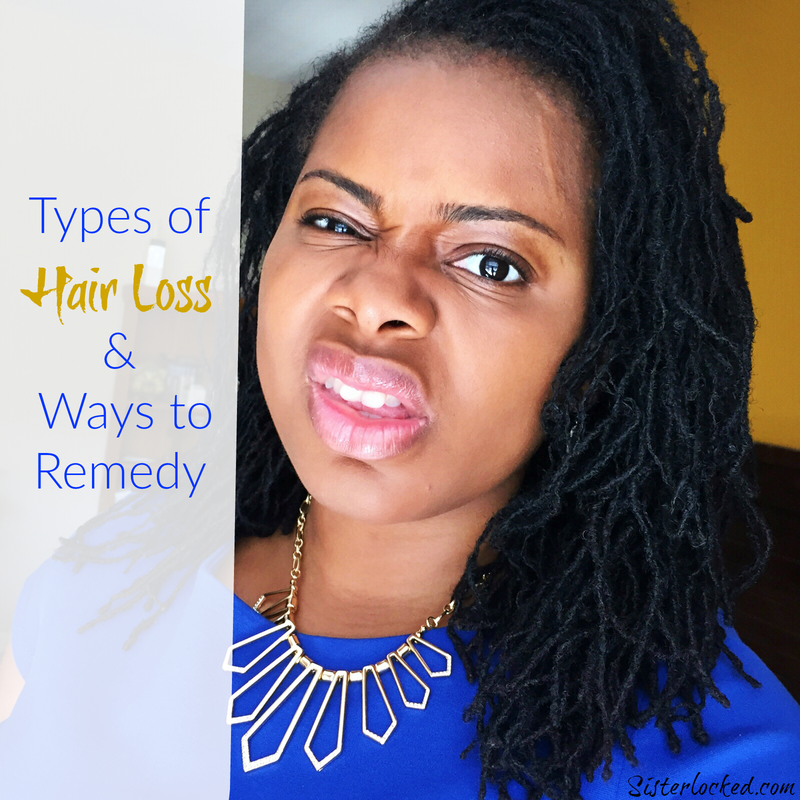 Since then, and with a great deal of personal research, I learned that my initial hair loss culprit was a mix of hormones and traction alopecia and eventually breakage due to weak spots formed during my hormonal loss periods. The first step at preventing or stopping excessive and abnormal hair loss is identifying the culprit. Below you will find the more applicable forms of hair loss, please note this will not encompass when medical/environmental trigger but are the more common forms. Hair loss that occurs along the hair shaft and not the root. This can be cause by dryness, friction, hair styles, excessive handling, or using the wrong styling tools. You can prevent and remedy breakage by self-assessing your routine and discontinue or change your hair care routine. Consider doing a protein treatment, changing the way you moisturize, and your hairstyle of choice. Temporary hair loss may occur weeks or even months after an episode of stress like childbirth, fever, severe illness, stress or sudden weight loss, which decreases gradually in a few months. This type of hair loss is called telogen effluvium (TE). This happens due to changes in the growth cycle of hair, when a large number of hair go into the resting phase (telogen) at the same time. I myself have experienced postpartum hair loss on two occasions. When TE trigger is short-term due to something like surgery, the best response is to patiently wait for the follicles to recover on their own. For ongoing TE issues, isolate the cause and remove it. For instance, if stress is the problem, stress reduction is the best treatment and prevention. If a dietary deficiency appears on a blood test, try supplements and a change in diet. If it is a deficiency in thyroid hormones, this can be treated with hormone supplements. If a specific cause can not be determined, there are some professional treatment options. Most dermatologists prescribe minoxidil, a direct hair growth stimulator. This can work well for some, but if the underlying cause is still present, then minoxidil must be continued to block redevelopment of TE. The best medicine is figuring out the cause and addressing it directly. Sometimes called male pattern baldness, this may happen to women as well. If there is general thinning of the hair over the entire scalp, extensive hair loss at the crown with the hairline at the front intact, this may be female pattern baldness. As hair thinning occurs, the scalp becomes progressively more visible. The hair loss rarely progresses to total or near total baldness. Thinning may start in your 20s but may not become noticeable until your 40s or later because the pace is gradual. The most common treatment for male or female pattern baldness is minoxidil. 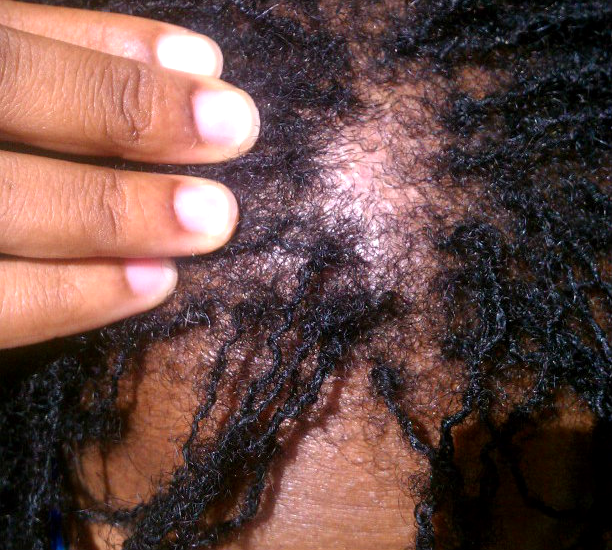 Traction Alopecia is hair loss due to pressure and pulling on the hair because of particular hairstyles causing small, localized areas of hair loss. I have a bald spot that has never grown back due to a bad set of cornrows in college. You can prevent this by avoiding very tight longterm hair styles and treating areas immediately with a growth oil like rosemary or some other healing hair oil with massage to try and stimulate the area. The most common cause of physical hair damage is overprocessing. Perming, straightening, bleaching, and dyeing the hair all involve harsh chemicals that can significantly affect the integrity of hair fiber. Using these cosmetic approaches too frequently or inappropriately can lead to irreversible damage to the hair fiber. The more hair fiber is damaged by these processes the weaker it will be and the more likely it will break off. Severe chemical processing can so significantly damage to the hair fiber that the fiber at the root is severely weakened it causes the hair to break off at the skin surface. This result is a diffuse "alopecia". Damage due to overprocessing is difficult to treat. The best approach may be to cut off as much damaged hair as possible, avoid further chemical processing, be gentle with your hair and wait for new, undamaged hair to grow in. There are cosmetic treatments to help "glue" damaged hair proteins back together, they only work for a short time and have to be reapplied regularly and end result is never as good as the original and undamaged hair. Folliculitis or a focal inflammation of hair follicles that looks like acne with little rings of inflammation surrounding the opening of a hair follicle. This can be caused by oils and greases applied to the skin that clog up the hair follicles, but folliculitis is usually due to a bacterial infection. It can be treated by antibiotics or a change in products. Seborrheic dermatitis is a skin condition, but it can also involve temporary hair loss if the dermatitis is located on the scalp or other haired skin areas. The dermatitis looks scaly and at times oily, inflamed skin that can be itchy or even painful to touch. The most common treatments are anti-dandruff shampoos. Everyone sheds hair and you may see more hair shed at certain times of the year. Studies show that humans, at least in Northern Europe away from the equator, shed more hair in the fall and to a lesser extent in the spring. This temporary increase in the number of telogen hair follicles and shed hair is probably due to changes in hormones in response to changes in daylight exposure. 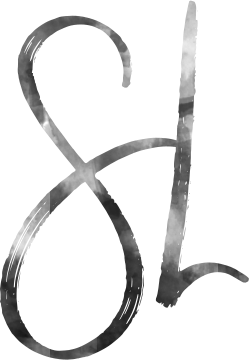 Studies in mink and other mammals show that daylight exposure significantly alters prolactin levels and that prolactin has a significant effect on molting. As with mink and other mammals, humans probably have much the same molting response. So hair loss can be temporary and seasonal without cause for worry. There are many hair loss trigger, but the first steps of treatment and prevention is to analyze our lives, health and physical treatment of our hair. Tu es très belle mais pourquoi tu fais toutes ces grimaces?